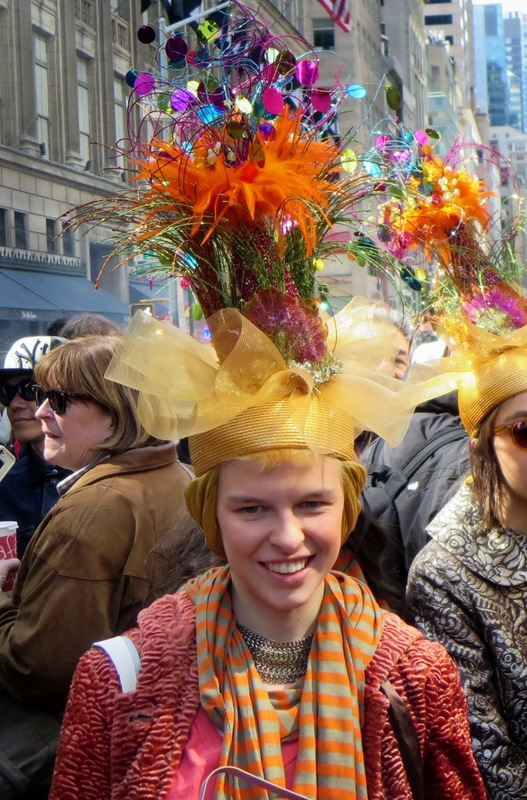 New York's Easter parade has been a New York tradition since the late 1800s. 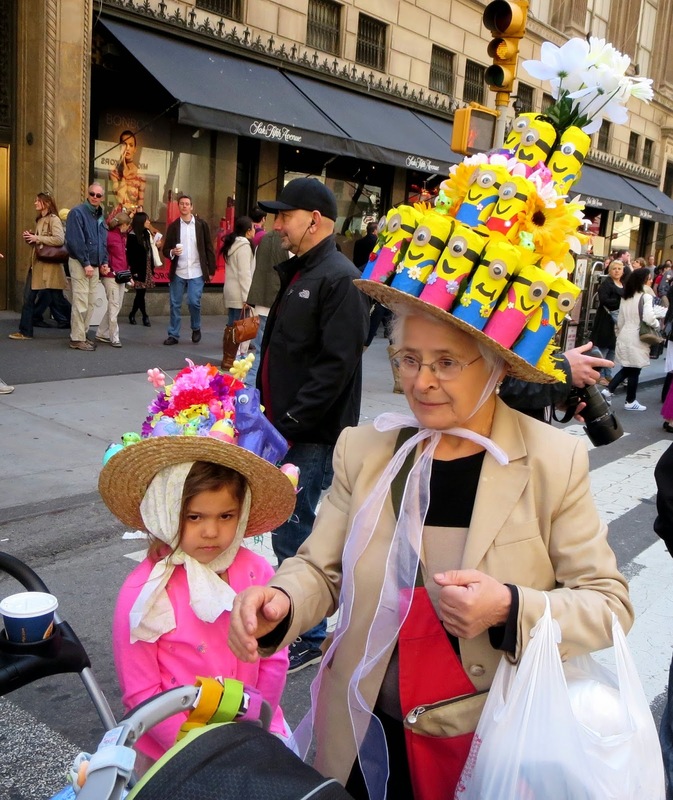 At the end of nineteenth and at the first half of the twentieth century Easter Parade was one of the main cultural expressions of Easter in the United States. 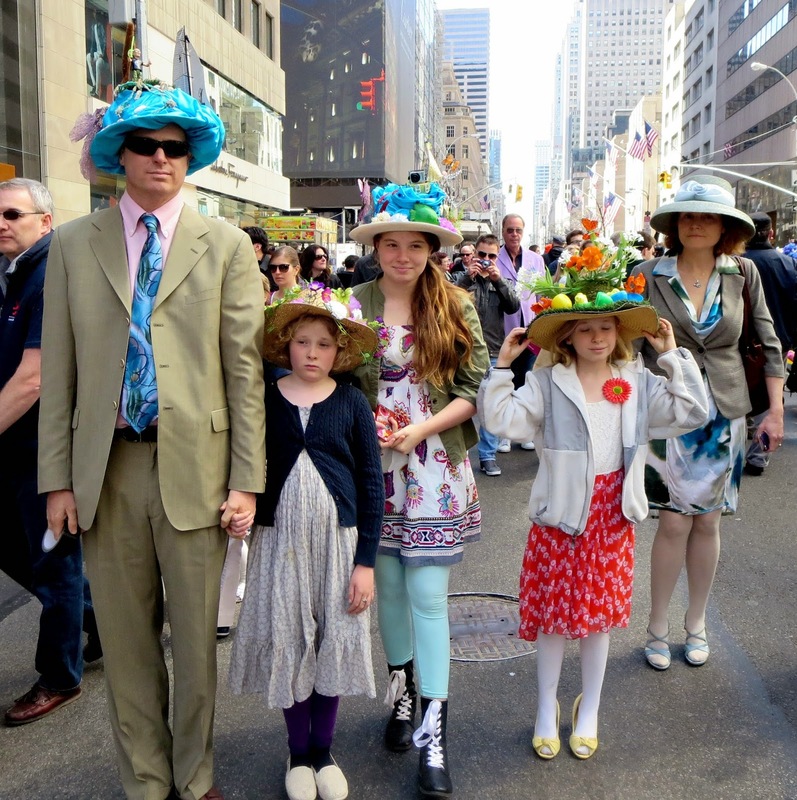 On Easter morning, people walk up and down Fifth Avenue after church services to enjoy the spring weather. 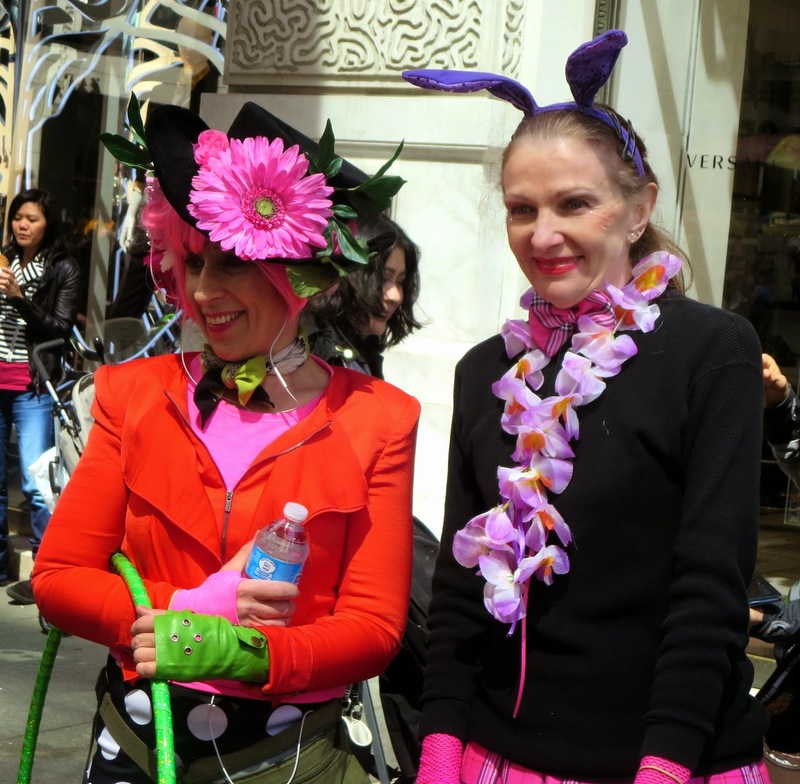 The churches were decorate with Easter flowers. Every flower has its' own meaning. White lily symbolizes life, hope, purity and joy. The Easter lily also signifies rebirth and a new beginning. A tulip is a messenger of passion and love. A red tulip says “I love you”. 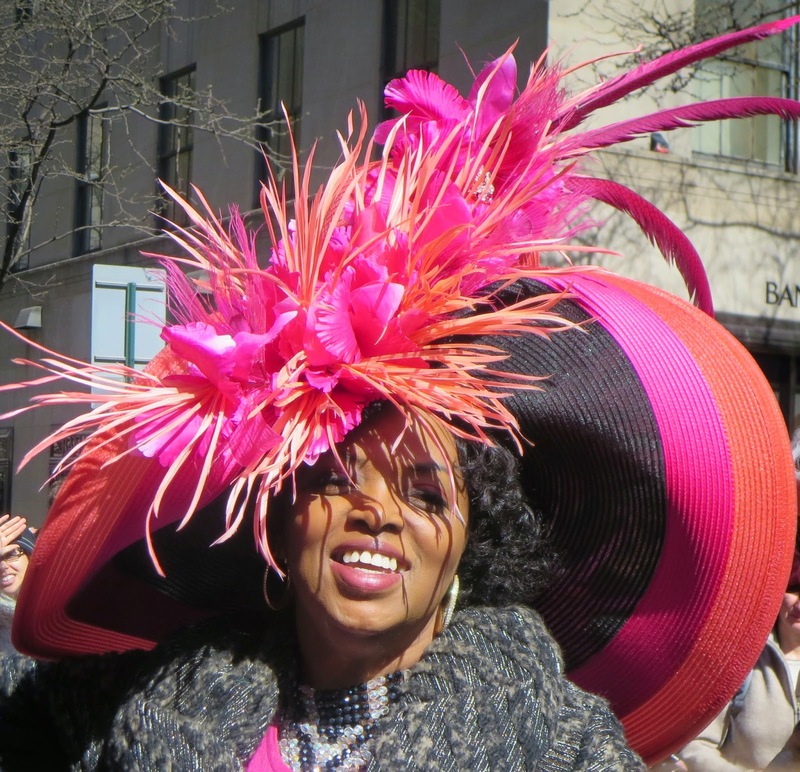 Women wear new hats with Easter flowers and fancy dresses. 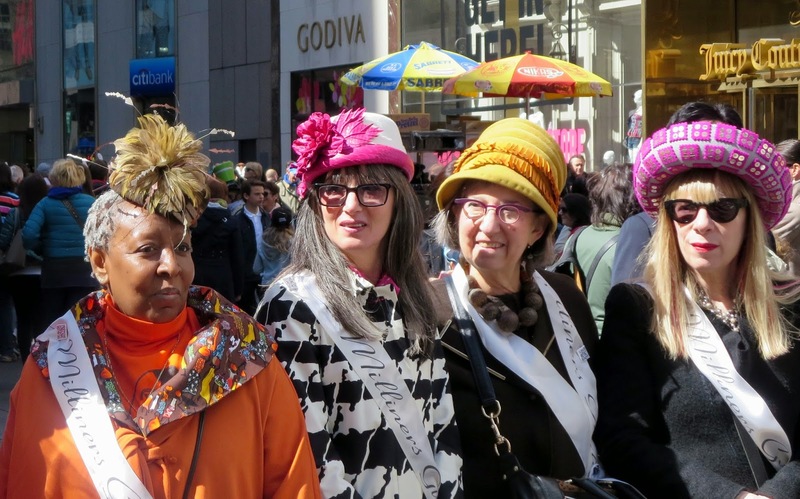 It was a combination of religious services, reality TV, and haute couture in the days before mass media, when only the wealthiest New Yorkers could attend the hottest Paris fashion shows and keep up with the latest fashion trends. 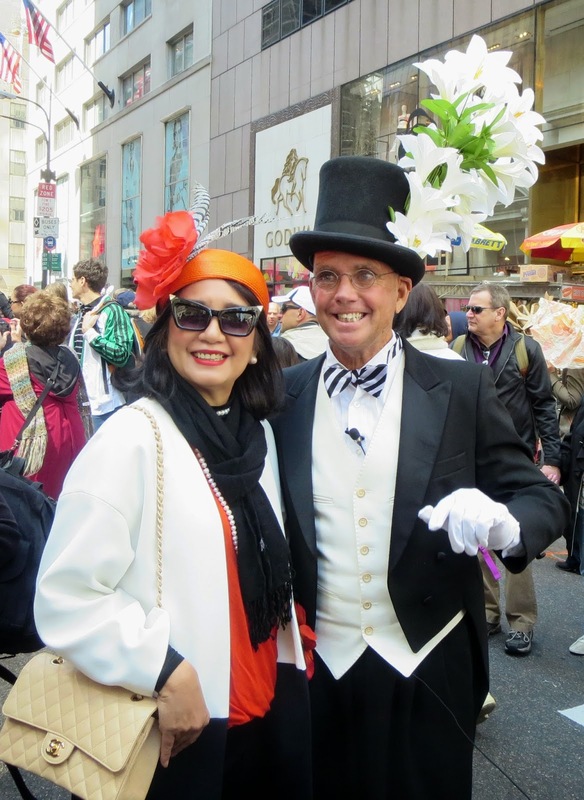 Irvine Berlin memorialized parade in the 1948 musical " Easter Parade" (1948) with Fred Astaire, Judy Garland, Peter Lawford and Ann Miller. Don Hewes (Fred Astaire) Don proposes to Hannah( Judy Garland) on 5th avenue. 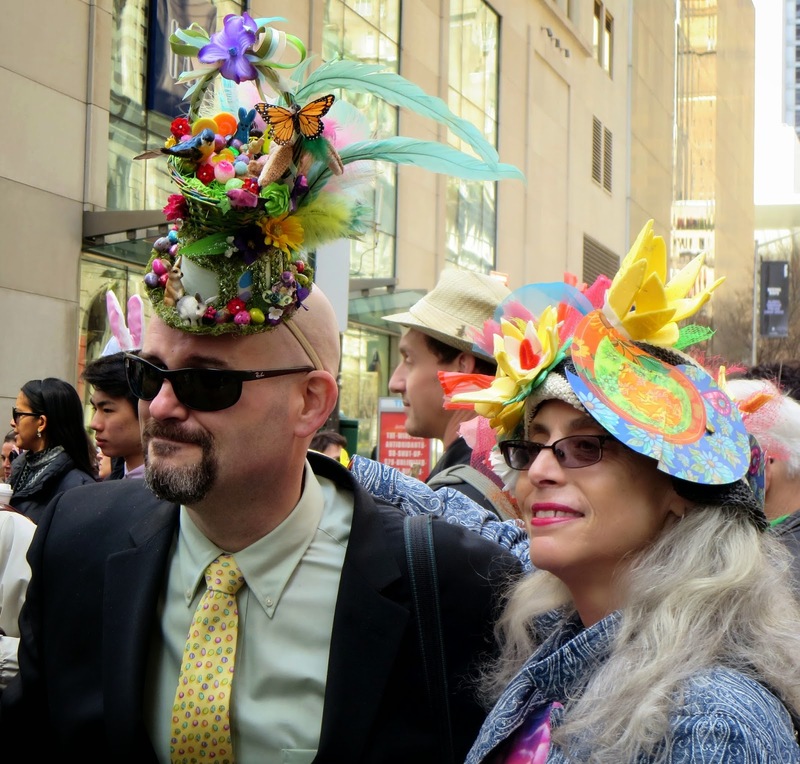 Rockefeller Center :Big Egg Hunt 2014 is over. Out of Hand: Materializing the Postdigital. Happy Birthday, Big Apple Secrets!